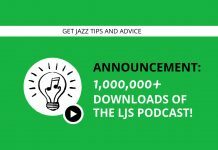 Welcome to episode 40 of the LJS Podcast where today we are talking about an important jazz improvisation technique called enclosure, and how to use it. This a great technique to help you conceptualize jazz language. Listen in!